Google Ads seem to know everything about you: your age, the items for which you are searching, that you like a certain sports team or musical group, your medical problems. This can feel very creepy, even for those of us who understand exactly how the ads are generated. Google is giving Chrome users a way to opt-out of these often-invasive advertisements, not just on their search engine, but in ads scattered throughout millions of Web sites. 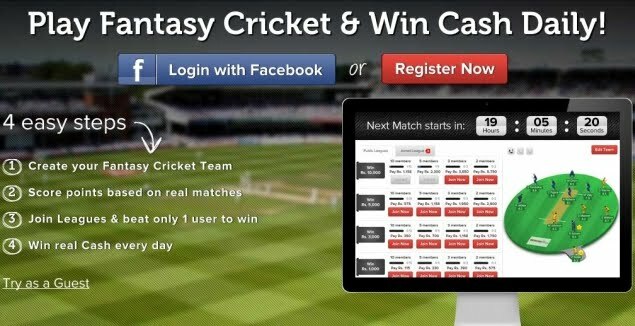 All that is required is a simple Chrome extension called Keep My Opt-Outs. The extension downloads almost instantly from the Chrome Web Store. Click the Keep My Opt-Outs picture to download. The advertisements you see are now changed. Instead of being specific to you, they are more general in nature. Just to test the waters, we searched Google for a very spam-heavy keyword: Viagra. Normally, Google’s tracking would remember we had searched for this topic, so that when we searched for something more generic, but related, Viagra ads would still show. To test the waters, we searched for Drugs. No advertisements appeared anywhere on the page, but we did notice that Google was still tracking our location. Please note that location tracking is usually done by your computer’s IP address, not tracking software cookies. This is also why the location is off by about 50 miles. As a bonus, Keep Opt-Outs also blocks advertisements generated by Web sites and have an opt-out options. To see all the ads for which you are opted-out, go to AboutAds.info. Once there, click the Existing Opt Outs tab on the far-right. Nearly 60 companies are listed, all from this one Chrome extension’s opt-out power. However, five available opt-outs are not included in the current version of Keep Opt-Outs. 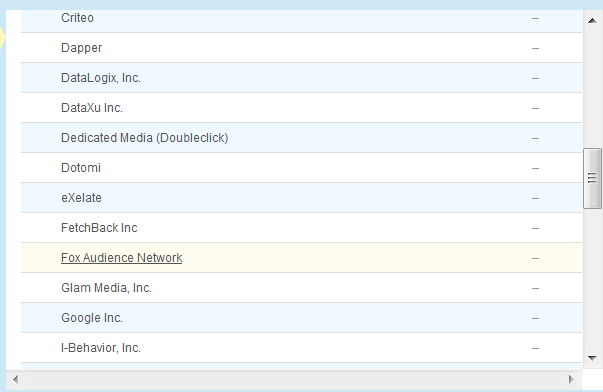 To block these too, click the Companies Customizing Ads for Your Browser tab in the middle of AboutAds.info’s screen. 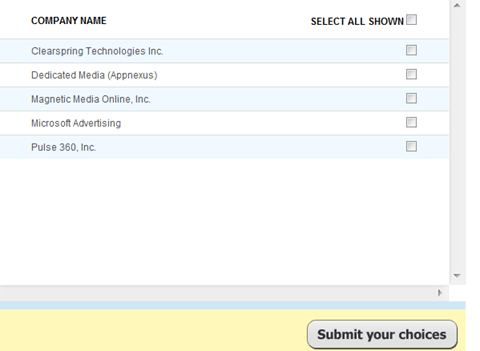 Check the box next to each listed company’s name, then click Submit Your Choices. Over the past few months, we have seen several ways to opt-out of advertisement tracking. We were a little surprised to see Google openly offering a way to opt-out of their own ads in their own browser, but we certainly applaud the effort. Please note that opting out of these ads will affect your favorite Web sites’ revenue. Targeted advertisements are the bread and butter of most of the Web these days.